Kermit Lynch was raised in the wine region of San Luis Obispo, but for forty years his name has become synonymous with French and Italian wines. In 1972, with a $5,000 loan and some raw gumption, this writer/musician-turned-wine-retailer opened Kermit Lynch Wine Merchant with thirty-five cases of wine stacked on the floor. Convinced early on that the wines of Europe were better suited to his palate than those of California, Kermit has become an advocate for authentic wines that express their terroir. He has had so much success at bringing notice to small, artisan producers that he has won two James Beard awards and was knighted by the French government in 2005 with the prestigious Legion of Honor. In addition to having three books published, Adventures on the Wine Route (1988, Veuve Cliquot Wine Book of the Year), Inspiring Thirst (2004), and the 25th Anniversary Edition: Adventures on the Wine Route (2013), his passion for roots music has driven him to record four CDs so far. Kermit and his wife, photographer Gail Skoff, divide their time between Provence, France, and Berkeley, California. IPO Wines was founded in 2006 in New York City with the mission of bringing small-production, terroir-driven wines that represent the best their region has to offer to our customers. 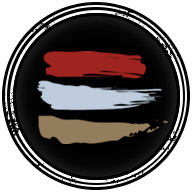 Our goal is to share our producer's history, legacy, and philosophy. Like loyal warriors we thrive by being our producer's voices in our urban arena. We seek to build relationships with those that share the same vision and passion. Most importantly, our goal is to service our customers with a dedicated sense of duty, responsiveness, care and diligence, for they are the reason we exist. We are committed to connecting our customers to more than just wine, but to also connect them with the experience the culture of wine brings to us. Jon-David Headrick Selections is a American importer of small French wine properties, specializing in the wines of the Loire Valley in France. The Loire is special. These are wines, when produced from older vines and crafted by artisans, that define elegance and restraint in the glass. These are wines that deserve to be tasted by lovers of wine. From the founding of European Cellars in 1989, Eric Salomon has championed unheralded wine growing regions and promoted young, innovative winemakers. His initial focus was France where he was an early proponent of the wines of the Rhône, the Languedoc and the Roussillon. His growing reputation in Europe as a new, dynamic and successful importer prompted Daphne Glorian to send him, unsolicited, a sample of her wine, Clos Erasmus in 1993. This event led not only to their eventual marriage, but an equally exciting portfolio of Spanish wines. 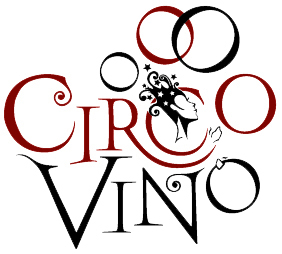 Founded in 2009, Circo Vino, loosely translated as “Wine Circus,” is a fine wine importer that offers serious artistry and joyful pleasure in our portfolio selection. Specializing in wines from unique terroirs, crafted by wine farmers who take great care from vineyard to table, our wines bring stories, education and experiences. We invite you to join our circus of sublime wine – a collaborative performance between mother nature, the grower and you. Coalla Gourmet was founded more than 50 years ago as a supermarket in Gijón (Asturias) in Northern Spain. At the end of the 20th century, it started distributing wines regionally, then importing wines and distributing them nationally. An initial facilitator of Equipo Navazos, the company became the exclusive exporter for their wines as soon as the project gained recognition beyond Spain. Vila Viniteca is one of the most renowned Spanish wine distributors in the restaurant and retail trade and among the most prestigious Wine Merchants in Europe. The company was founded in 1932 and now is in its third generation as a family-run business. As well as being a distributor, importer and exporter, Vila Viniteca sells to the public and trade. Furthermore, it participates in numerous wine making projects with legendary Spanish winemakers. With more than 8,000 references in its portfolio, Vila Viniteca exclusively represents more than 200 cellars around the world, including premier brands at international level. Founded in 2007, Bender Selections is a passionate importer with a focus on artisan properties, primarily in Burgundy, Rhone Valley and Languedoc. An emphasis on sustainability and quality are paramount in the wines that we choose and relationships we develop.